A video recorded or captured on a HDV camcorder leads to the output of an M2T video file. However, the video file might not always be compatible for editing on other video editing software such as iMovie, Final Cut or Windows Movie Maker (even though their official website says that the file type is supported). If you are using a Mac operating system, you can at least try to export your HDV or M2T files using the pre-installed QuickTime player. The rate of success, however, is not guaranteed because the codec might not be recognized by Apple or the quality of the final video file would fail to live up to expectation. Hence, you might want to try out an alternative such as the Wondershare UniConverter (originally Wondershare Video Converter Ultimate). 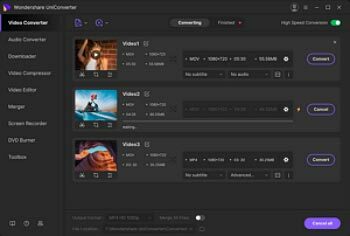 Other than being able to convert your HDV or M2T files to your preferred file type, the software also intelligently encode the video file’s codec automatically during the conversion process. The UniConverter (originally Wondershare Video Converter Ultimate) is also compatible for download onto both Windows and Mac operating PCs. Please read through the guide below on how you can convert your HDV video files on a Windows operating PC. Step 1 Upload HDV files. In order to download a trial version of the UniConverter (originally Wondershare Video Converter Ultimate) for your Windows, please click here. The download and installation process would only take a couple of minutes. Just double-click on the newly created shortcut that appears on your desktop to launch the UniConverter (originally Wondershare Video Converter Ultimate) once the installation has completed. 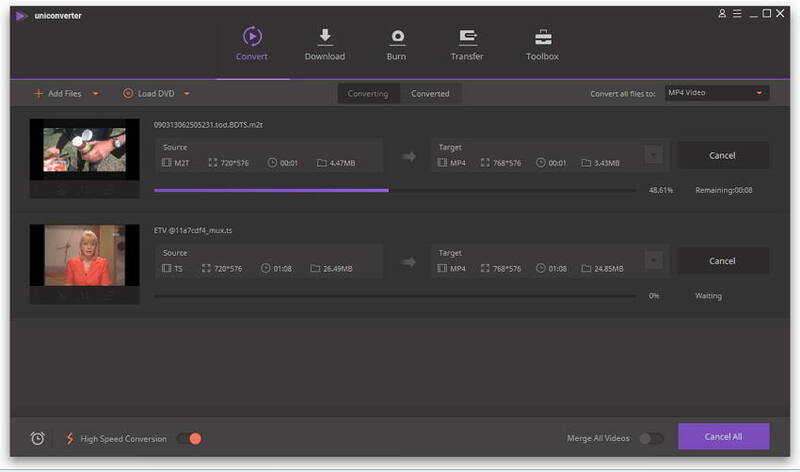 After that, you’re ready to upload as many HDV files as you like because the program supports batch conversion with up to 30 times faster than a normal video converter with ZERO quality loss. Step 2 Convert HDV files. Depending on which software or program that you intend to use for further editing, you can easily select the supported video file format from the Output Format by clicking the inverted triangle beside Convert all files to and then select either by Recently, Video, Audio or Device category. 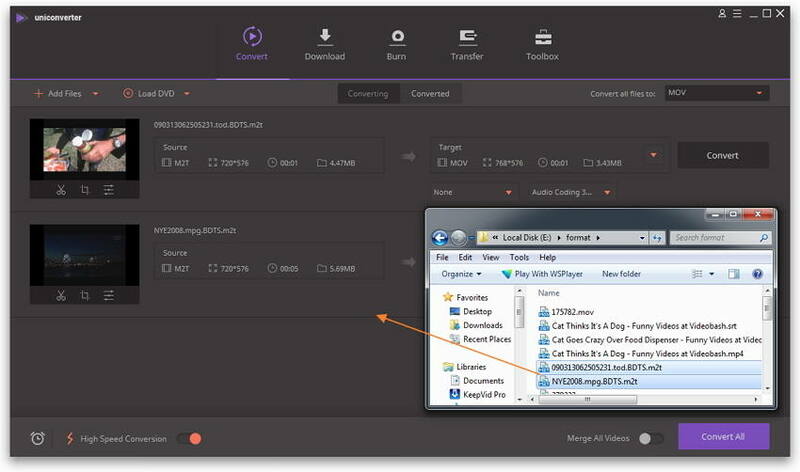 The UniConverter (originally Wondershare Video Converter Ultimate) offers a wider choice of output formats to suit almost any other software or devices. Simply click-on Convert All to start your conversion process. You will be able to view the progress of the conversion as well as the remaining time required before it is finished. Other than being able to convert your HDV files, Wondershare UniConverter (originally Wondershare Video Converter Ultimate) also allows you to download online videos, for instance from YouTube, Vevo and Vimeo. Directly search, play and download your favorite clip from the browser or just copy and paste the video’s URL. Convert the downloaded videos instantly and transfer it for offline access on your mobile phone or other portable devices. You’ll never run out of entertainments!